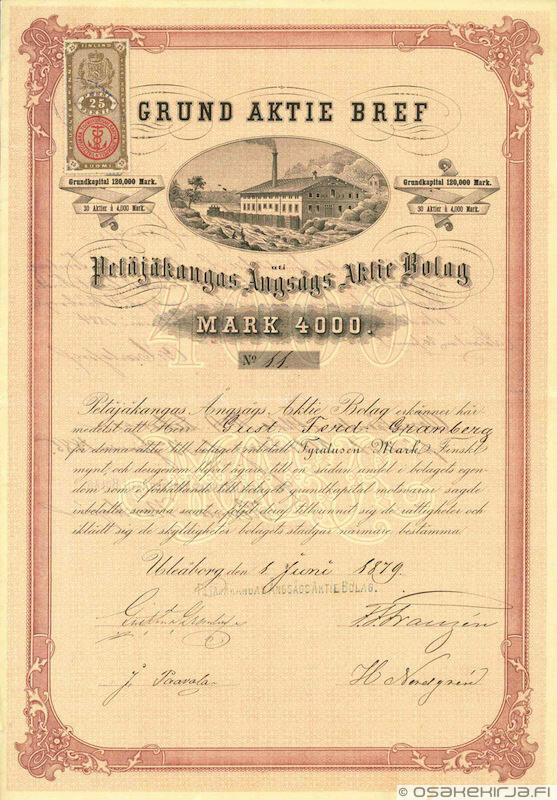 Do you need some pictures of old Finnish share certificates for example to the magazine or web? We own a very wide archive of pictures, which are available for free. Source of used pictures has to be mentioned. At scripophily.fi we present pictures limited to 800 pixels, but all pictures of share certificates are also available in print quality. If you need some help choosing pictures, don’t hesitate to contact us via the Contact us page.